Keith and I have known each other for over half our lives. We spent high school having crushes on each other but never taking action. We dated for a while in our 20's, then each needed to move on and do our own things. Keith traveled and joined the Navy while I stayed home and attended college. Five days after I turned 30 we got married. The first time Keith saw me I was a tiny 105 pounds. Over the years, due to undianosed Hashimoto's Disease, I went up to 220 pounds. 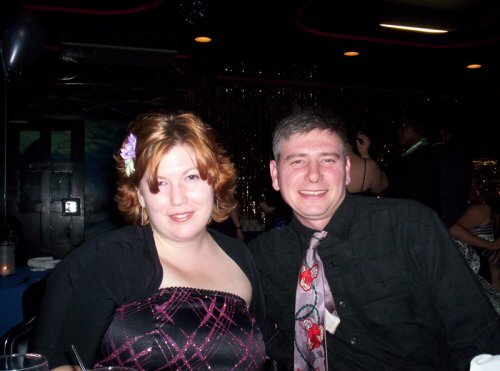 The day we were married, I weighed 195 pounds. Keith is an amazing man, he sees me for who I am, not a number on a scale or a dress size. I could go on and on about how great he is, but I'll keep this short. The picture is from a Christmas party we attended while living in Japan.